I already introduced the reader to French brand MAT in December 2009. The trade mark MAT is the accronym for Mer Air Terre (Sea, Air, Land), the 3 types of armed forces. TLex of Oceanictime recently published renderings, followed by pictures of the brand’s new collections AG5 and AG6. This new collection comes with a 44 mm case in 316L stainless steel with black PVD coating, 15.5 mm of thickness including a 4.4 mm thick sapphire crystal, and a whopping 9 mm winding crown. Inside runs an ETA 2824-2, with the date unfortunately concealed by the lack of calendar window. These are all pictures of the prototypes that were published by French-speaking forum Passion Horlogère‘s admin. Starting price was announced at EUR 950. 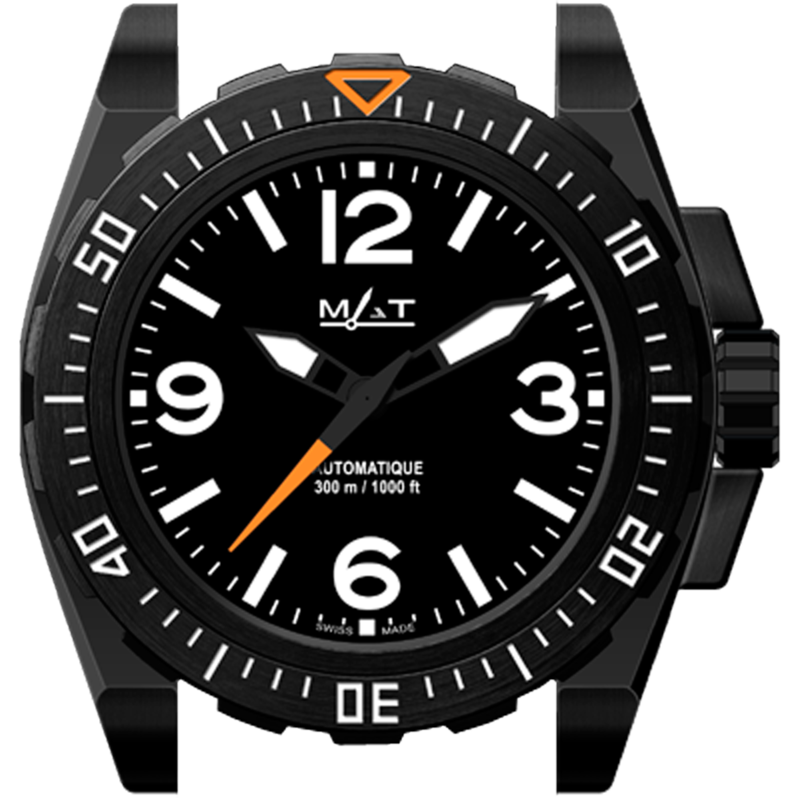 The watch comes with a set of 3 straps: black leather, synthetic rubber and tactical nylon canvas strap. In the meantime, the brand has refine the bezel’s design by having an orange triangle edge for the bezel’s 60 indication and by having minutes marks all over the bezel. Go to Oceanic time for all details about those new collections. Where can I purchase a MAT Watch? I looked on the internet and nothing is listed.